Banking in Nigeria is taking a U-TURN from what it used to be as banks are now implementing measures to ease the queues normally found in Nigerian banks. GTBank, UBA and First Bank of Nigeria recently announced their presence in WhatsApp application which we all know is a chatting platform. This new development will help their customers contact their bank Customer Care Service Center via whatsapp and request for certain services like the following; account statement enquiry, account balance, transfers, opening account and much more. The WhatsApp numbers for the respective banks that are released already can be found below, we will let you know about others as soon as they arrive, the GTBank whatsapp number, UBA WhatsApp number and First Bank of Nigeria WhatsApp number. According to news, Nigerian banks getting ready to embrace the upcoming WhatsApp Pay services which is expected to be globally available soon despite the fact that its now available in India. 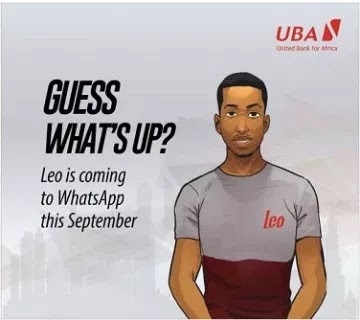 According to United Bank for Africa (UBA), its chatting robot called Leo will be fully available on WhatsApp starting from September 1, 2018. This chat robot will be answering your questions and perform your basic transactions task via whatsapp application for your respective mobile smartphones. GTBank WhatsApp Number "09030003911" will compliment its mobile internet banking platform and short code *737# the same way UBA whatsapp will compliment its mobile banking and USSD code *919#. To chat with GTB on whatsapp, add the number as a contact and save on your phone, then head over to whatsapp, search for it and start your chat. 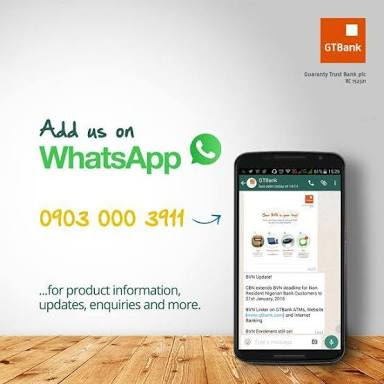 According to GTBank; "it would leverage on the WhatsApp Business Solution to offer Nigerians an additional channel to connect with it for enquiry, service requests and access to other basic banking services. First bank of Nigeria WhatsApp will support the banks internet banking and USSD short code *894#. 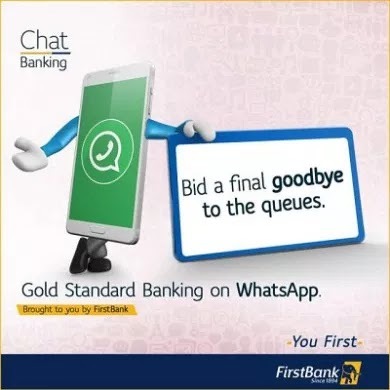 According to First Bank of Nigeria; "its WhatsApp chat banking will ensure effective services to the customers. The will enable customers to leverage the real-time messaging capabilities of the WhatsApp Business Solution to check their account balance." According to rumor, WhatsApp is planning on displaying adverts at the "stories tab" of whatsapp application. So WhatsApp being free or paid in the nearest future is yet to be known, but since they are about to implement ads in their whatsapp application, i think it will continue to be free from my point of view.